Where YOU Share How YOU Use YOUR Erin Condren Products! 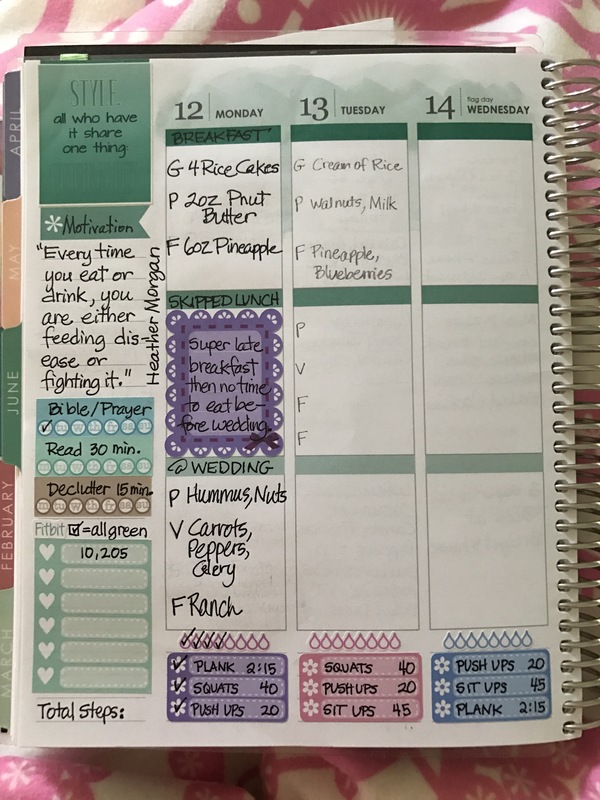 It’s been a while since I’ve posted, but I have been using my planners, and specifically I’ve been using my colorful vertical planner as a food journal. For those that are new, Erin Condren is a planner company that offers a variety of different planner styles and sizes. The following link will allow you to set up an account (which is free) and then they will send you a discount code via email that you can use in your first order. 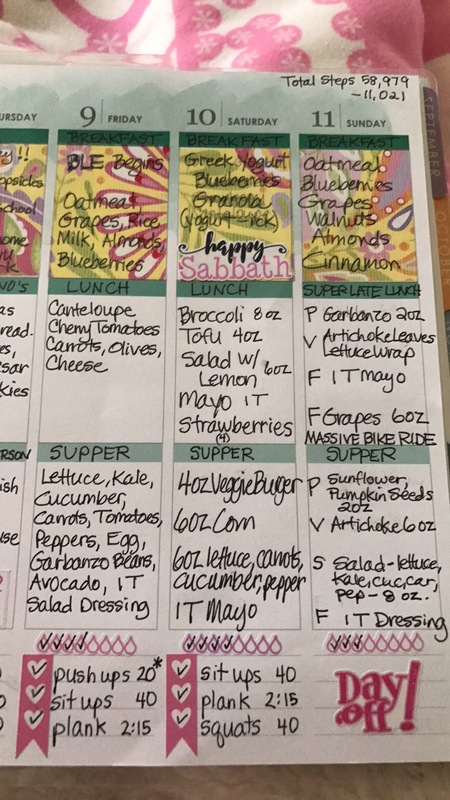 I have been using one of my vertical, colorful, life planners as a food/exercise journal for the past year, and recently I’ve been adopting the Bright Line Eating food plan as my diet of choice. A friend gave me this book, and I’m pretty sure it is going to be life changing. 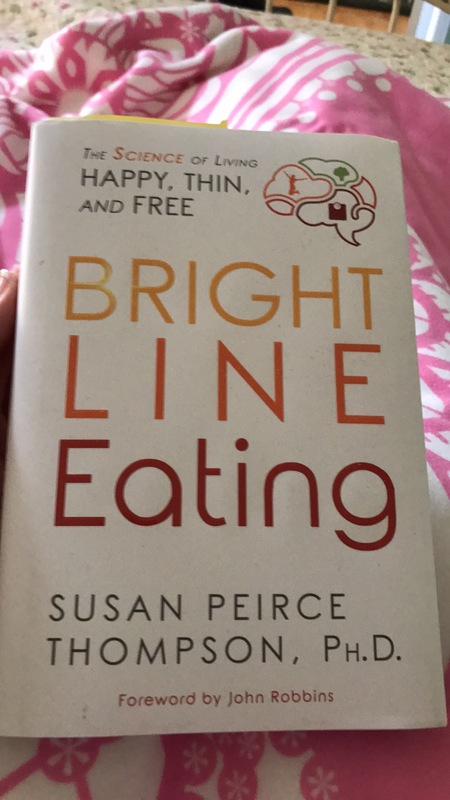 As a result of reading this book, I’m even more motivated to use my Vertical Life Planner to keep record of my foods and exercise. This was last week after officially beginning Bright Line Eating. I then set up my planner for this week. 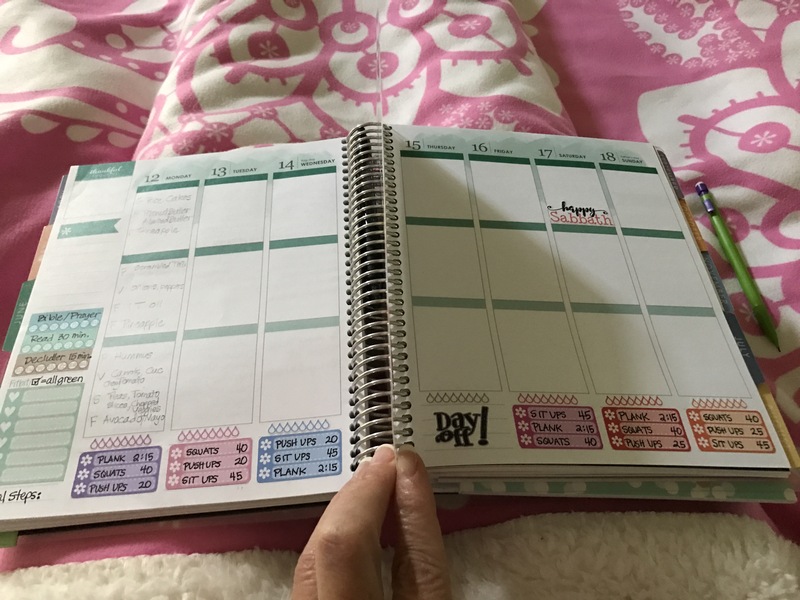 I’m using Planner Chick Designs stickers this week for my sidebar and my exercise lists, and the Day Off sticker is from Krissyanne Designes. Both companies have their own websites and if you have specific questions, feel free to leave a comment! I plan my food first in pencil. Then at the end of the day, I write what actually happened in pen! I’m heading to the grocery store today so I haven’t planned lunch and supper yet, but it will happen very soon. 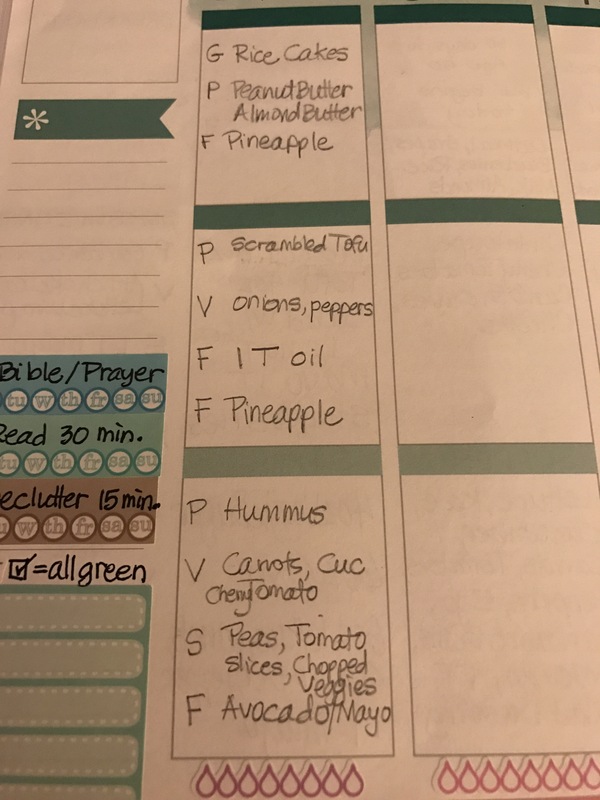 This planner is perfect as a food journal because the three boxes provide a perfect layout for Breakfast, Lunch, and Dinner. Right now you can select the 18 month option for your life planner, which means you can begin using it in July and go all the way until December 2018! Get $10 off Your FIRST Erin Condren Order!! 2017 – Let’s Do This!